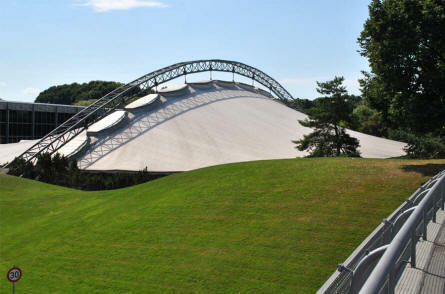 The Olympiapark is the Olympic Park in Munich (München) which hosted the Summer Olympics of 1972. 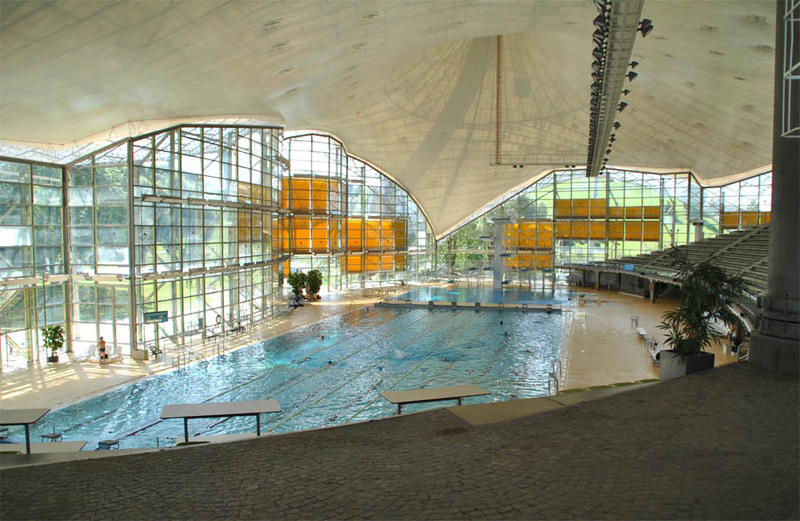 These Olympic games will be remembered for the terrorists hostage attack that in the end cost the life of 9 Israeli athletes. 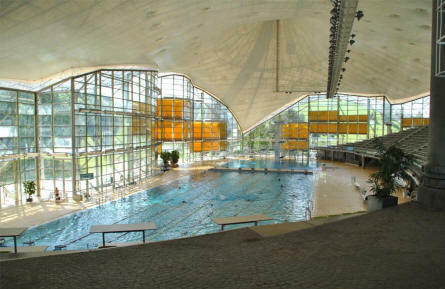 But also athletes like Mark Spitz (swimmer), Olga Korbut (gymnast) and Lasse Virén (runner) will be remembered for these games. 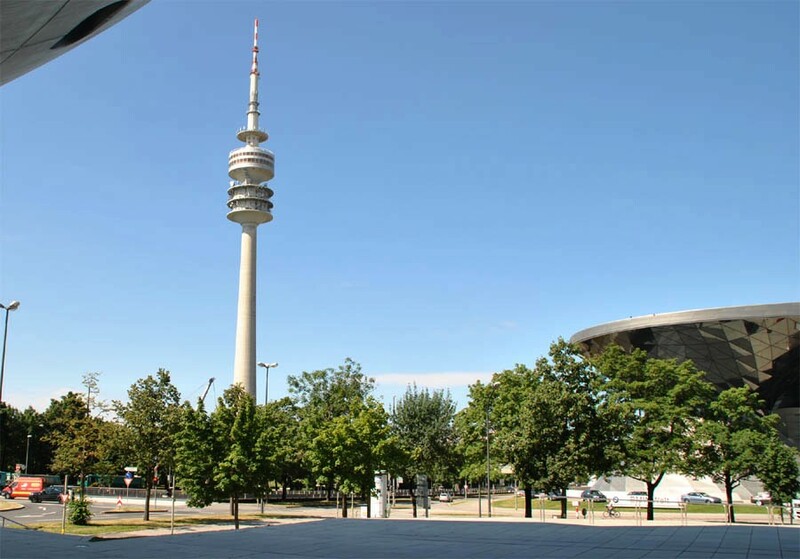 Today the area and its facilities are used as a recreational area by the citizens of Munich. 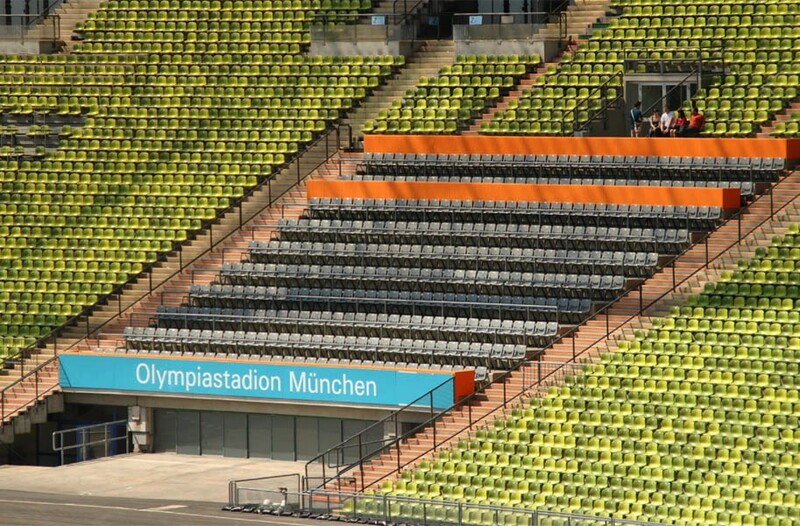 A section of the Olympiastadion (the Olympic Athletics Stadium) at the Olympiapark in Munich (München). 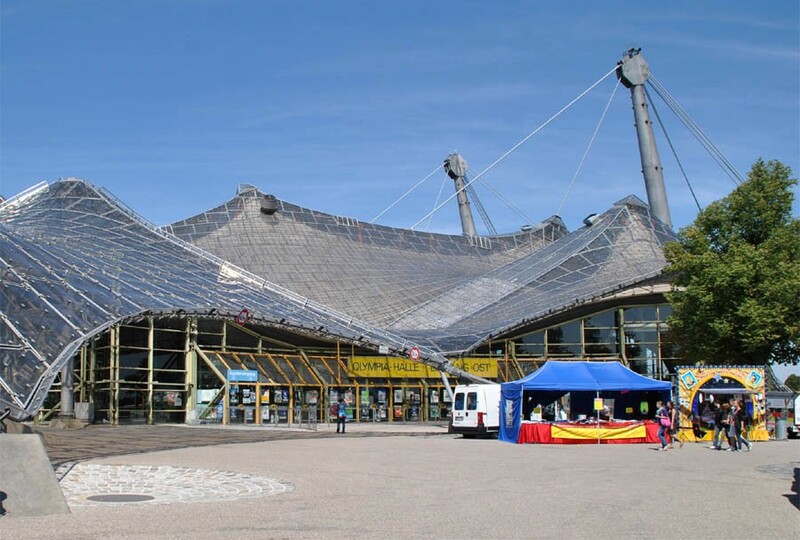 Inside the Olympic Swimming Stadium at the Olympiapark in Munich (München). 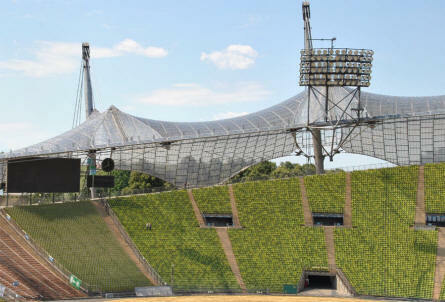 One of the many very special buildings at the Olympiapark in Munich (München). 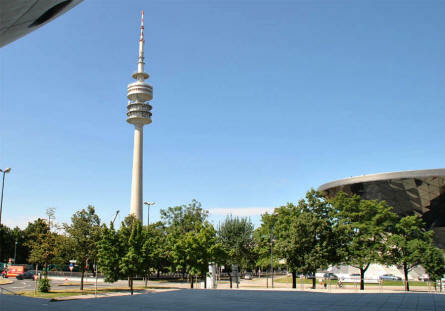 The Olympic Tower at the Olympiapark in Munich (München). The Olympiahalle (the main indoor sports area) at the Olympiapark in Munich (München). 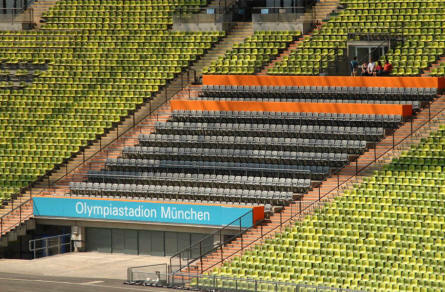 A section of the stands at the Olympiastadion (the Olympic Athletics Stadium) at the Olympiapark in Munich (München).